Ngoc Lan photographed while posing on the streets of Paris. French music has sustained its popularity in Vietnam for more than a century. The French influence in Vietnam and its people naturally came about from the French colonial era which officially began in the year of 1862 and lasted until 1954 at the end of the French Indochina War. One would think that perhaps the popularity of French music in Vietnam was at its peak while under French rule. Instead, the presence of French influence along with French music in Vietnam, particularly Saigon, continued on for many years after the end of French colonialism. Its peak in popularity didn't occur until the early 1960s to coincide with the emergence of a style of music known as Ye-Ye. In this particular style of French pop music, originally from France allowed many songstresses to become internationally known and adored by fans from all over the world. Among them were Sylvie Vartan, France Gall, Francoise Hardy and two songstresses that were of Vietnamese origin that also made marks onto the international scene as singers of the Ye-Ye style of music, Tiny Yong (Thien Huong) and Bach Yen. Bach Yen has been accredited as the Vietnamese pioneer chanteuse of French Popular Music. Yen Huong - Eurasian singer of French-Vietnamese descent who had been quite popular during the 1950s and 1960s in Saigon . 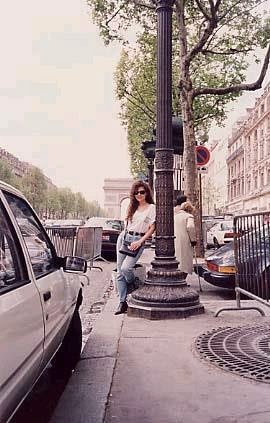 In the 1980s, she had made a brief comeback in the United States and released a couple of albums consisting of covers of French popular love songs. 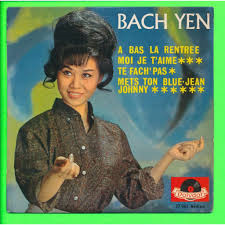 In Vietnam, Bach Yen had already established her career as a singer before setting her sights internationally where she sang in many other languages such as English, Italian, Spanish and Hebrew. 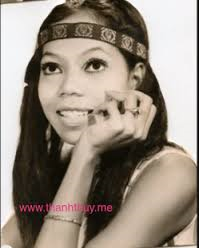 Tiny Yong, although born in Cambodia, is of Vietnamese origin who started her singing career in France during the Ye-Ye era but was virtually an unknown in Vietnam. Another chanteuse of French-language music worthy of mentioning is Bebe Hong Suong, who was originally from Hanoi and was of mixed Vietnamese and Belgian parentage. She began her career in Belgium and achieved international fame within Francophone countries with her hits, Rio de Janeiro and Nana. 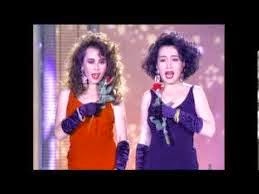 Of course, there were also others like Bich Chieu, My Hoa and Yen Huong who had successful careers as French-language chanteuses in Saigon during this period. But it wasn't until the later years in the 1960s when Thanh Lan emerged onto the spotlight that French music really reached its peak in popularity with Vietnamese audiences. Thanh Lan's interpretation of popular French songs such as La Plus Belle Pour Aller Danser, Bang Bang, and Oh Mon Amour made a massive impact in the popularity of French music all over Vietnam and turned her into an icon in Vietnam. Thanh Lan's enormous success as an interpreter of French music paved the way for other female singers of Vietnam such as Julie Quang, Pauline Ngoc, Bich Tram and Jeannie Mai. Thanh Lan was an iconic interpreter of French popular music in Saigon prior to 1975. Julie (formerly known as Julie Quang) first gained popularity as a French-language singer back in Saigon prior to 1975. 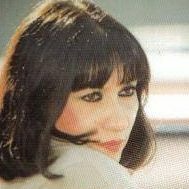 In the 1980s, she along with Ngoc Lan and Kieu Nga were the top 3 female singers of French popular music with overseas Vietnamese audiences. 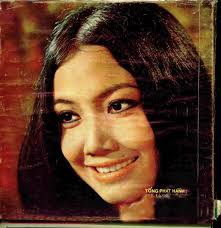 French-Vietnamese singer Pauline Ngoc achieved fame in Vietnam with her interpretation of the French popular song, "La Petite Gamine", in Vietnam during the late 1960s. The 1980s saw a resurgence of French music popularity among Vietnamese audiences overseas. Among the Vietnamese songstresses responsible for this resurgences were Julie (formerly known as Julie Quang), Minh Xuan, Khanh Ha and of course, Ngoc Lan and Kieu Nga. The title as Queen of French music had been unofficially given to Kieu Nga by numerous Vietnamese entertainment publications and writers. However, Ngoc Lan's fame as a Vietnamese singer of French music was not far behind. Although they were all extremely talented, my personal favorites were Julie and Ngoc Lan. They each had a style of singing in French that brought about a certain distinguishable charm. To this day, I still prefer Ngoc Lan's rendition of Je Ne Suis Que de L'amour over Nicole Croisille's original version, just like Julie's rendition of Enrico Macias' Paris, Tu Mas Pris Dans Tes Bras. These Vietnamese divas with their abilities of singing in the French language are undeniably one of the reasons why the presence of French culture among Vietnamese people all over the world is still kept alive to this day. Ngoc Lan and Kieu Nga's duet version of "Toi Jamais" was among one of the most popular songs recorded in French and Vietnamese. Update: In fairness, this article wouldn't be complete without mentioning these four other chanteuses of today that are definitely deserving of being listed in the ranks of the best Vietnamese songstresses of French popular music. The first out of the four is Leslie. She is of Vietnamese, Polynesian and French descent. Since the release of her first album, Je Suis et Je Resterais, in 2002, Leslie has risen to be one of the most popular singers in France. Like her predecessors, Bebe Hong Suong and Tiny Yong, French language Vietnamese singers who had each reached mainstream prominence in Francophone countries, Leslie's music career has not been centered around Vietnamese audiences. Although Leslie is a virtual unknown in Vietnam, her astounding achievements as a major celebrity in French popular culture is a fleet admired by many Vietnamese people from all over the world. Séverine Ferrer is a beautiful French cinema actress and pop singer. She is of Vietnamese and Italian descent, raised in the French island of Réunion off the coast of East Africa. Séverine Ferrer first came onto the French music scene in 2004 when she released her debut self-titled studio album for the label, Treize Bis Records. Two years later, she represented Monaco at the 2006 annual Concours Eurovision de la Chanson contest held in Athens, Greece. Although she did not make it as one of the finalists at the Eurovision competition, Séverine Ferrer did manage to make quite a splash with her unforgettable performance of La Coco Dance. Recently, she had given birth to her third child and has temporarily taken time off from her careers both in music and films. Already an established star in mainstream France, something tells me that we'll all be hearing and seeing a lot more of Séverine Ferrer in the near future. Aïna Quach is a rising new star in French pop music. She is of Vietnamese, Chinese, Belgian and Malagasy descent, born in the island country of Madagascar. In recent years, Aïna Quach was the new lead female vocalist of the internationally renowned French progressive rock band, Tai Phong. She had been personally selected to sing lead by the original founder of Tai Phong, musician Khanh Mai. After a successful concert tour of Japan along with a released live concert album with Tai Phong, Aïna Quach released her first solo single, Je t'emmenerai, in 2016. In addition to French, she also sings in English and several dialects of the Malagasy language. 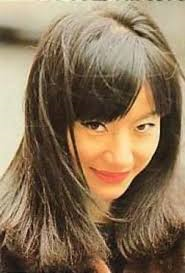 Our final out of the four Vietnamese songstresses of French popular music is Quynh Anh, a Belgian singer of Vietnamese origin. Unlike the three previously mentioned, Quynh Anh is also well known in Vietnam and various overseas Vietnamese communities throughout the world. 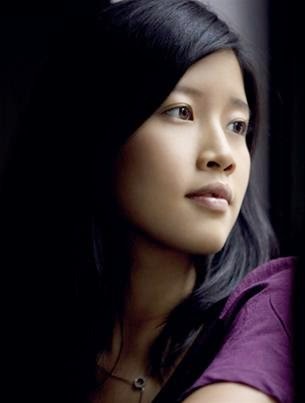 To most Vietnamese people, Quynh Anh, first came onto the music scene in 2006 with her recording of a song entitled, Bonjour Vietnam, written by acclaimed Belgian singer Marc Lavoine. Although Quynh Anh had managed to attain some success with mainstream Francophone audiences at the beginning of her music career as Marc Lavoine's protégée, in recent years she has shifted her career more toward Vietnamese audiences collaborating with Thuy Nga Paris. Her popularity with Vietnamese audiences has made Quynh Anh the carrier of the torch passed over graciously by a long list of talented Vietnamese songstresses of French popular music who had come before her.